December 2015 - Introducing the Macho Direct from Thermalright. 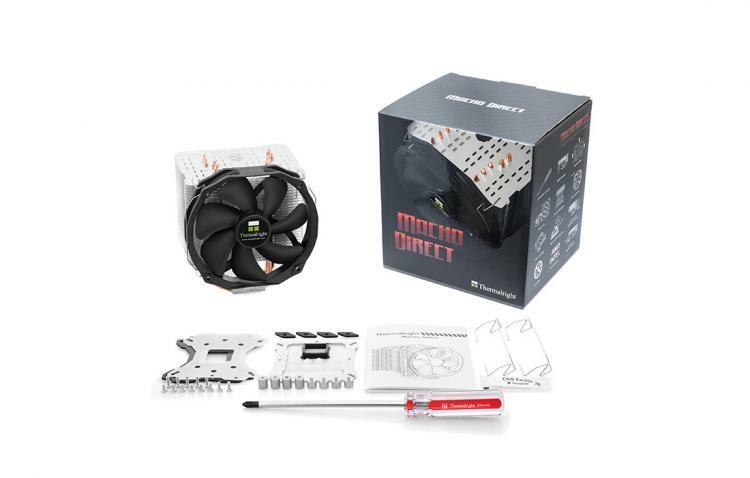 With the Macho Direct we present our first Heatpipe Direct Touch cooler. We are expecting it to reach the top of the HDT-cooler charts thanks to its particular conception. The cooler is based on the proven Macho-Design and is aimed at customers who are looking for an effective cooler at a budget. The successful concept of the powerful heatsink, which is still aligned to the rear, was not changed. The Macho Direct also uses the special design of the aluminum cooling fins - indicative for a very low air resistance - that has been optimized for low running fans. Several openings counteract the accumulation of air between the cooling fins, so that an optimum air exchange is ensured. The main feature of the Macho Direct are the specially designed, concave formed heat pipes, which allow a very effective heat exchange from the CPU. 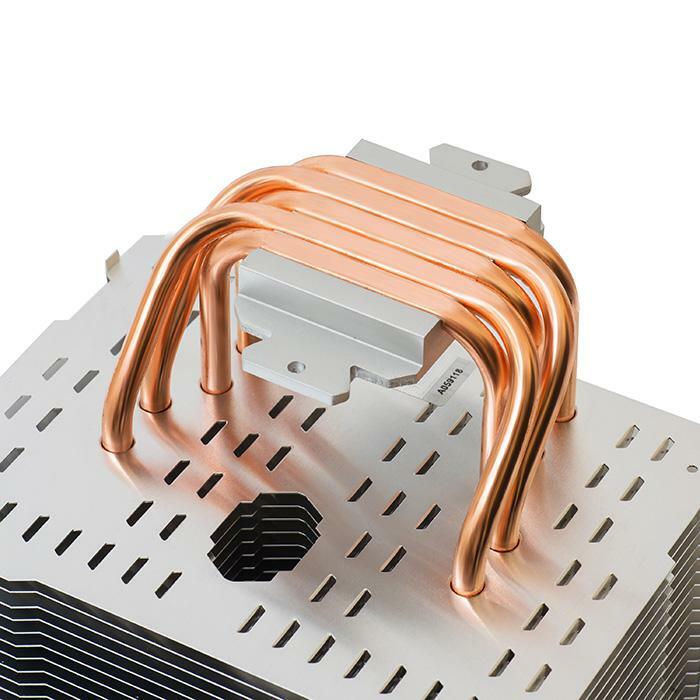 The patented design of the heatpipes, which have not been ground flat, gives the Macho Direct a cooling capacity that's outstanding for a HDT cooler. Another highlight of the Macho Direct is the reduced installation height. Because of its conception as direct touch heatpipe cooler, the "Direct" is 4 mm lower than the Macho Rev. B. This makes it possible to mount the Macho Direct in even more cases. At the same time, the weight of the Macho Direct with a fan mounted is at 820g lower as well. A TY 140 Black PWM-fan is included with the cooler. The fan is equipped with a low-wearing "Enhanced Hyper-Flow Bearing". Thanks to the very low starting speed of just 300 rpm and the maximum speed of only 1,300 rpm, the black fan runs very silently at 15 - 21 dB(a) and is almost inaudible while running. 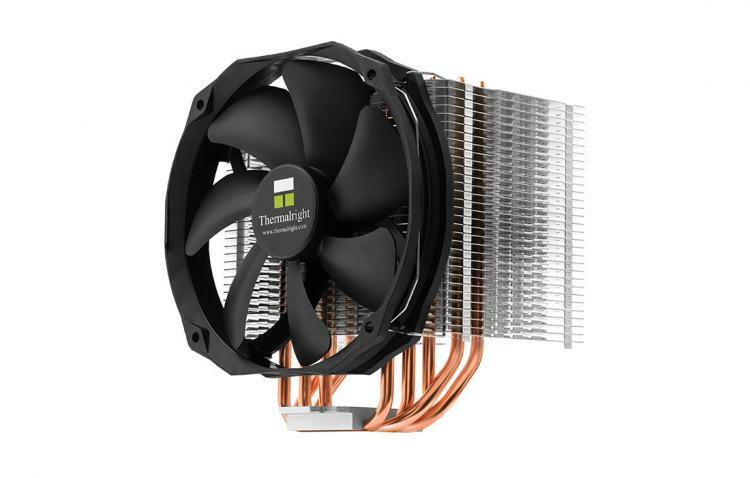 The MSRP of Thermalright's Macho Direct is €36.99 inc. 19% VAT in Germany, with price varying elsewhere.